A vehicle pulls or leads in one direction during hard acceleration. A vehicle pulls or leads in the other direction during deceleration. A slightly smaller diameter tire on the right front increases a right torque lead. Inspect the front tires for differences in the brand, the construction, or the size. If the tires appear to be similar, change the front tires from side-to-side and retest the vehicle. Tire and wheel assemblies have the most significant effect on torque steer correction. Left-to-right differences in the front view axle angle may cause significant steering pull in a vehicle. The pull will be to the side with the most downward sloping axle from the differential to the wheels. 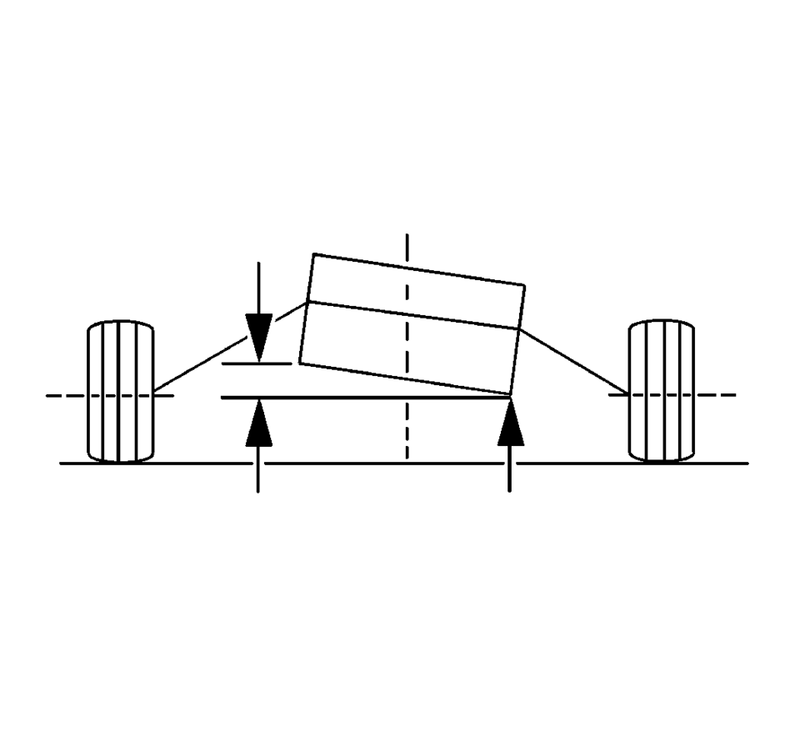 Axles typically slope downward from the differential. The slope of the transaxle pan to level ground may be used as an indication of bias axle angles. The side with the higher transaxle pan (shown on the left side of the illustration) has the most downward sloping axle angle.